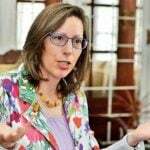 Human Rights Watch on Wednesday condemned a series of summary executions of dozens of people in areas of eastern Libya under the control of controversial strongman Field Marshal Khalifa Haftar. 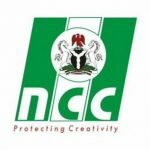 The Nigerian Copyrights Commission (NCC) on Friday disclosed that Nigeria was losing three billion dollars annually to activities of pirates. 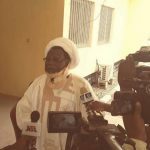 The Islamic Human Rights Commission, IHRC, confirmed that the Nigerian Government has finally allowed a team of foreign doctors to examine the health conditions of Ibraheem El-Zakzaky and his wife, Zeenah El-Zakzaky. 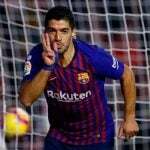 Barcelona striker Luis Suarez has vowed to celebrate if he scores against Liverpool in the semi-finals of this year's Champions League. Senator Dino Melaye representing Kogi West in the red chamber of the National Assembly has warned Sterling Bank against giving a loan of N32 billion to the Kogi State Government under the leadership of Yahaya Bello. 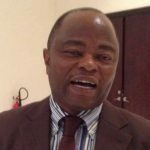 Yemi Shodimu, a veteran actor and lead character in the timeless movie “Oleku”, on Friday said many Nigerians took him for a cultist, a role r he acted in the movie. 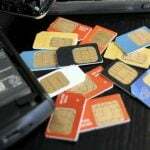 The Nigerian Communications Commission (NCC) says over 60 million subscribers’ biometric and personal registration information submitted to teleçom operators hàve been screened and verified. 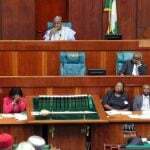 The House of Representatives is to constitute an ad hoc investigative panel over the non-remittance of stamp duty by the Central Bank of Nigeria (CBN), money deposit banks and other collection agents. 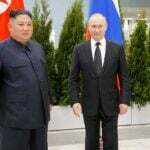 North Korean leader Kim Jong Un met Russian President Vladimir Putin on Thursday at a summit designed to show that Washington is not the only power able to set the agenda on Pyongyang’s nuclear programme.